Home » Bluehost » Bluehost Free SSL Finally Arrives – Will GoDaddy Follow? Going through Twitter, I heard that Hostgator was also in the process of including free AutoSSL, so it seems that all of EIGs companies are finally falling in line. This is great because I’d earlier written a post about traps that hosting companies use to get you to overpay. 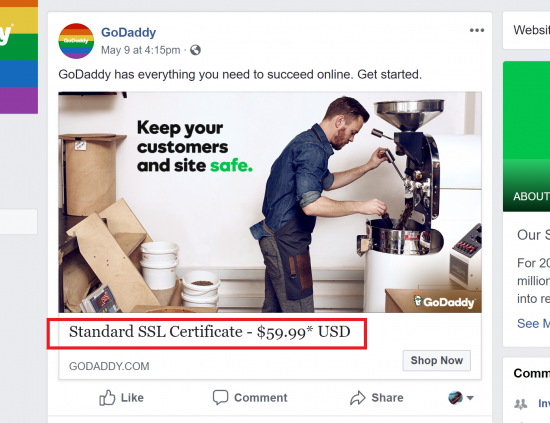 One of those traps was pretending to have low prices, and then charging outrageous amounts for SSL certificates – which are mandatory these days. So as Google’s deadline for showing warnings on all non-SSL sites draws closer, expect more and more hosting providers to give up this juicy revenue stream in favor of free SSL certificates. Need to make a decision fast? Click below for the maximum discount today. Note: The $2.95/m deal doesn’t always appear. There’s a trick to making it show. You can even get the Bluehost $2.65 deal if you’re lucky! But that was before the magic of Let’s Encrypt and automatic free SSL. 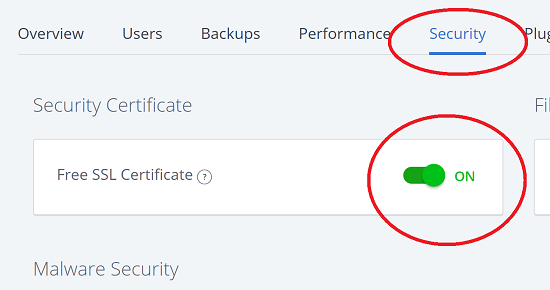 From this day forward, you no longer need to spend time with Bluehost support reps to enable SSL certificates on your website. Just follow the instructions below and see the screenshot! Will my Free SSL Certificate Expire? No. Let’s Encrypt certificates are automatically renewed without manual intervention. This is great because by default, each cert is only valid for 90 days. This meant that before you had to manually install and re-install Let’s Encrypt certificates every couple of months or so. But now Bluehost does this on its own. Your free SSL certificates will never expire, and you don’t even need to think about them anymore! The first is the certificate itself. Before Bluehost AutoSSL integration, you had to manually generate the Let’s Encrypt certificate by logging into your account via SSH and installing it manually. They repeat this process each time your certificate was about to expire. AutoSSL trivializes this process by doing all the heavy lifting for you. Now that Bluehost offers AutoSSL, customers no longer have to worry about their free SSL certificates expiring! Does my Free SSL Apply to WordPress as Well? Yes. SSL certificates are applied to domains or subdomains. It doesn’t matter what application is running inside that domain. So if your free SSL is for “xyz.com”, your WordPress installation at xyz.com will be automatically covered. So while other companies are forging ahead with free SSL, GoDaddy’s buckling down. At $60 a year for the first year, and much more after that, it’s shocking that the company with the largest number of hosting customers hasn’t made the leap to SSL. They’re probably banking on the fact that most small business owners don’t know enough about free SSL options and will take whatever products are pushed onto them. But how long can this continue? Sooner or later GoDaddy’s gotta cave to pressure and start supporting what every other company is getting on board with – Let’s Encrypt or some other free AutoSSL option. How Can Bluehost Offer Free SSL? By Installing Let’s Encrypt! These two actually have nothing to do with each other. Encrypting all communications between you and your clients is a purely technological solution. It doesn’t require any kind of manual intervention. There’s no reason for it to be expensive. The encryption provided by free SSL solutions like Let’s Encrypt is every bit as strong as those provided by high-end EV certificates. In fact, even without Let’s Encrypt and AutoSSL, you can convert your site to “HTTPS” and use SSL for free using a service like Cloudflare. When all this can be done automatically, what’s the value in a paid SSL certificate? The money you pay for Bluehost SSL goes into the second step – validation and verification of your business. A basic free SSL solution only verifies that you control the domain name, nothing else. However if you’re an e-commerce site, you might want to inspire as much trust as possible in your customers. To do this, you pay a CA (Certificate Authority) to manually verify that your business is legit, that you have an actual address and phone number and so on and so forth. It’s this manual verification that’s expensive because it’s carried out by human beings. There’s no shortcut around it. The more you pay for an SSL, the more validation you receive. Sites like banks and Paypal use the highest form of SSL and are thus 100% verified. Do you Need “Paid” SSL? But not everyone needs that kind of validation. For a lot of websites, it’s enough to simply encrypt communications so that no one can steal the usernames and passwords of clients. It also ensures that no “man-in-the-middle” attacks can be performed and change your data in transit. And for now, this is all that Google wants. It’s not looking for high end validation from a CA. So there’s no reason whatsoever to avoid free Bluehost SSL certificates. Let’s Encrypt and AutoSSL will soon be available from all hosting providers. And if GoDaddy refuses to get on board, I think it’s time for you to switch! But we (most normal websites oweners) just need to be OK with google, so freeSSL is what we need. if someone need more secure he should pay, but not us. Thanks for this article…it sounds like blogs and basic websites need basic encryption like Bluehost’s free SSL. Any type of financial transactions on the site would suggest paying for a higher degree of SSL encryption, and detailed collections of financial and personal data would require the most expensive SSLs.